Vietnamese Bridge is located in Da Nang, a beautiful city in Vietnam. The specialty of this bridge is that it is of a Dragon’s shape and the most wonderful and surprising thing is that it breathes large balls of fire! 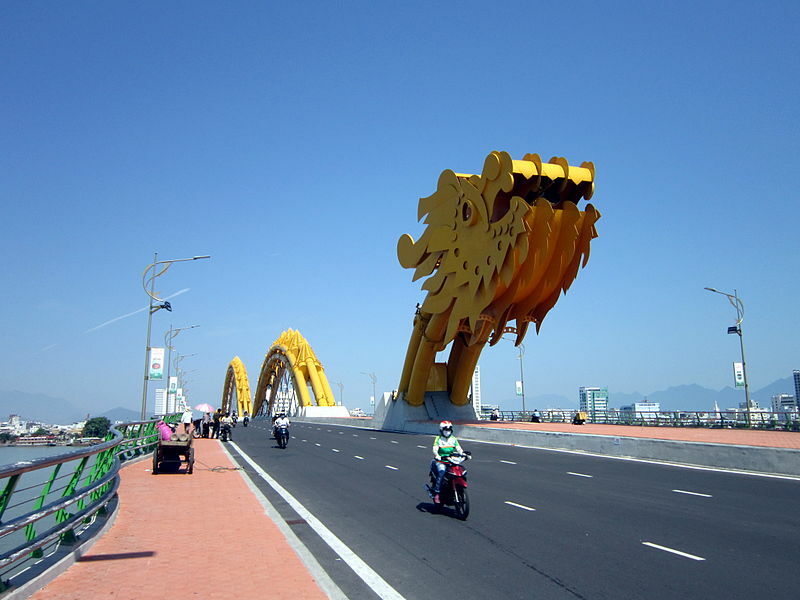 Da Nang is the fourth largest city in Vietnam; it is a very important port and now a home to the largest steel span arch of the country and a dragon head. 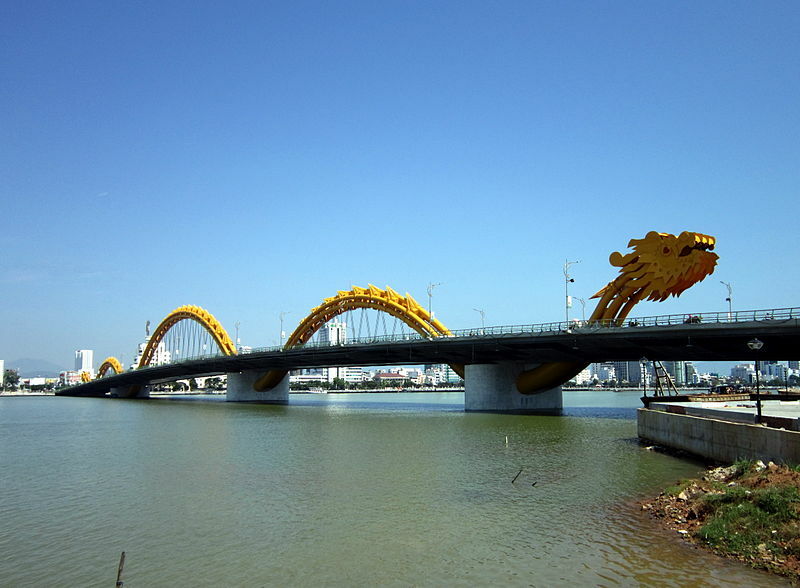 According to VietnamNet, The Dragon Bridge is modeled on the Ly’Dynasty’s dragon. This dragon is a creature from the folklore of Vietnam; this folklore states that it flies to the sea and brings back good luck. American Firm Louis Berger Group designed this awesome bridge; more than 1.7 trillion Vietnamese dongs (53 million pounds) were spent in creating the giant. The construction of this beautiful and remarkable bridge started in the month of April in 2009. The entire construction weighs 8164-tonnes and stretches to 666m in length. Even though it was meant to open in the year 2012, the opening got delayed. It was inaugurated by the deputy prime minister of Vietnam, Nguyen Xuan Phuc. At night, the dragon-head construction glows with 2500 LED bulbs, and the most wonderful sight is when the construction shoots both water as well as fire. Night is more special because the LED bulbs glow in such a way that the entire dragon head is visible all throughout the time. This bridge connects the Da Nang International Airport with the most splendid and famous beaches in the city; this proves its practical purpose as well. Several tourists land in Da Nang just to witness the glory of the bridge. Next articleThis Chicken Breed Has WEIRD Legs!